Welcome to 4664 Pershing Place. This home offers a rich history on one of the Central West End's beautiful private streets. Once the childhood home of author William S. Burroughs (unconventional writer inducted into the St. Louis Walk of Fame in 1990), this gorgeous home boasts architectural details no longer affordable in home building today. The living room has mahogany paneling, leaded glass windows, and built-in book cases. There are five bedrooms including a master with a large walk-in closet ... The large patio in the back yard establishes an easy going feeling for entertaining, much like a visit to the French Quarter in New Orleans! Schedule your appointment today! I wonder if the buyer of this home is a Burroughs fan, or just a lover of leaded glass windows. One can hope. "I was born 4664 Berlin Avenue changed it to Pershing during the war," Burroughs writes in the 1965 piece "St. Louis Return" -- showing an awareness of how his life was caught, even then, in crosscurrents of history and nomenclature. 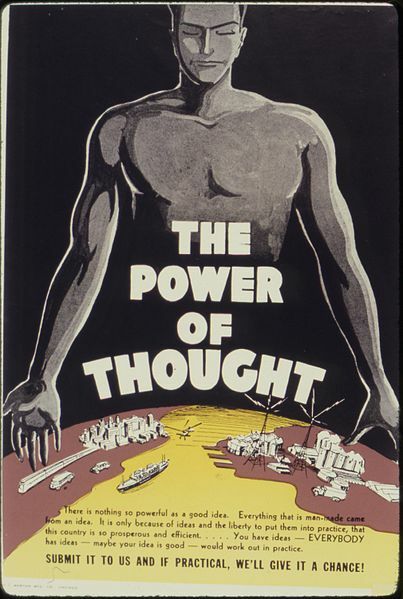 This re-branding is mentioned twice in the essay, reflecting Burroughs's thematic obsession with the relation between power and language; his uncle Ivy Lee was one of the early practitioners of P.R., doing image work for the Rockefeller Family and the Nazi Party. 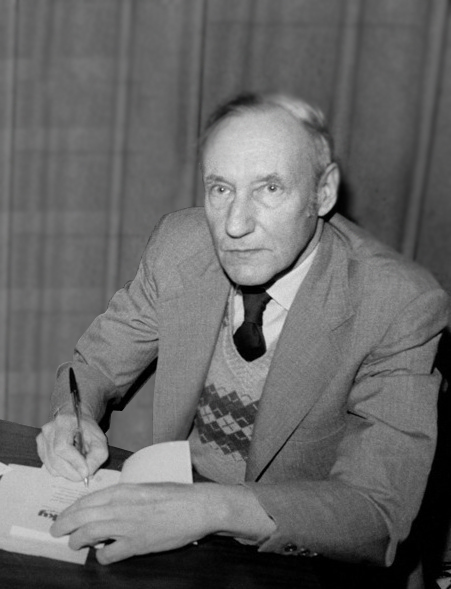 Much of Burroughs's writing is composed of riffs or what he called routines: and there are a few pertaining to his early years on Berlin/Pershing. He was close with the family's black gardener, Otto Belue, who tended to the peonies, irises, and roses, the fish pond out back. Burroughs also claims that he got his first ideas about opium from a maid in the home. Suffering from hallucinations and nightmares brought on by fever, he overheard a maid talking "about how smoking opium brings sweet dreams, and I said, 'I will smoke opium when I grow up'". My personal favorite anecdote from these early years, recounted in Ted Morgan's biography Literary Outlaw, is that Burroughs and a friend used to enjoy watching turds float down the River des Peres as it coursed through some of the city's richer neighborhoods, "effluence amid the affluence." It gives new meaning to T.S. Eliot's famous phrase about the Mississippi, "a strong brown god." And an appropriate pastime for a child who would grow up to become, as the real estate listing puts it with pretty breathtaking understatement, an unconventional writer. Did I find out how to control others at a glance? I certainly did, but never had the nerve to try it. Here is how it is done: I must look my victim squarely in the eye, say in a low, severe voice, "I am talking and you must listen," then, intensify my gaze and say, "You cannot escape me." In accounts of Burroughs's life, St. Louis is typically depicted as the safe, prosperous backdrop the young writer rebelled against and fled. This is reasonable, and there's no question many of the author's formative experiences took place in Vienna, New York, Mexico City, Tangiers, Paris. Still, the city remains in the background of the Burroughs biography, like a negative that throws its subject into relief. In moments of crisis, such as when Burroughs was arrested as an accomplice to Lucien Carr's 1944 murder of Wash U English professor, gym instructor, and alleged stalker David Kammerer -- Burroughs flushed a bloody pack of Kammerer's cigarettes down the toilet -- he would always end up back in St. Louis for a time, to convalesce, chill, clean up, sustained by parents who seemed remarkably patient with their errant and not always law-abiding son. Meanwhile Burroughs's brother Mort lived a conventional shadow life in St. Louis, moving to the other end of Pershing Avenue in U City, working for Emerson Electric his entire career, while Burroughs's parents Mortimer and Laura adopted the writer's son Billy after the notorious shooting of his wife in 1951. Yes the nudes are still there across from the station recollect once returning after a festive evening in East St. Louis hit a parked car 60 MPH thrown out of the car rolled across the pavement and stood up feeling for broken bones right under those monumental bronze nudes by Carl Milles Swedish sculptor depict the meeting of the Missouri and Mississippi river waters. It was a long time ago and my companion of that remote evening is I believe dead. 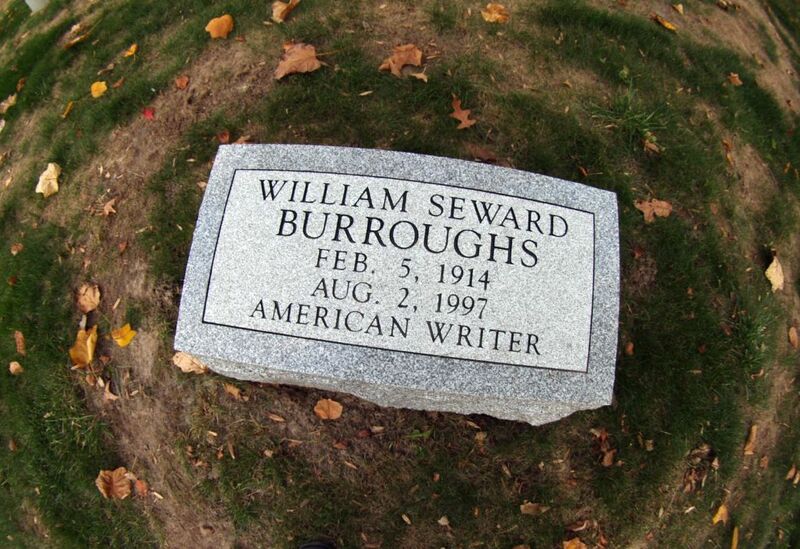 Burroughs was, of course, the grandson of another William Burroughs, the inventor of the adding machine, which proved essential to the accumulation of corporate profit and as such, made the family quite wealthy -- although the Burroughs family sloughed off most of its shares in an ill-advised sale. The literary career of William S. Burroughs can be viewed as a strange outcropping of old St. Louis money -- again and again, it was necessary to sustain the adventures and misadventures that undergirded his works. In the end, he returned to the Midwest, settling in Lawrence, Kansas, to write what many consider his magnum opus, The Red Night Trilogy (1981-87). He is buried in Bellefontaine Cemetery, his headstone a kind of footnote to his grandfather's, on that aristocratic island along I-70, bordered on all sides by the criminal and elegant decay of north city: could there have been a more fitting place for him to land?